The 11th place in Qatar and the fall in Argentina, put the Ducati racing team on the verge of a nervous breakdown. The plan would be to wait three or four months to see how the Spanish evolves. If the results continue in this way, Ducati can even advance with the dismissal of the 2015 champion, having already elected Casey Stoner as a great substitute. 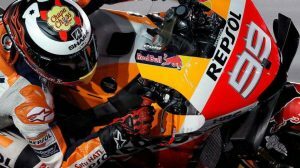 If the departure of the Spaniard from Ducati looks unlikely, Stoner’s full-time entry into the team seems almost impossible. In any case, one thing is certain: Lorenzo’s performance at the Ducati leaves little to no expectations. “The only positive thing about the GP is that I did not get hurt and we found my position on the bike,” he says. Jorge Lorenzo remains calm despite how difficult are his first steps in Ducati. 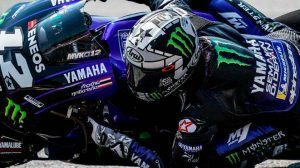 The eleventh place in Qatar and the crash in the first corner in the Argentine GP. “Whenever you get far behind in the grid it’s pretty chaotic in the first corner, I’m not really used to it. I had made a very good start, had advanced four or five positions and some brake late and I have decided to go inside and suddenly I do not know why, maybe I have accelerated too much in the middle of the curve or maybe Iannone has slowed down a little, but all of a sudden I found myself with his rear wheel on top of me and I have touched it and I went outside of the curve. “The only positive of the weekend is that I have not hurt myself and we have found my position on the bike and also I understood a little more the way to stop the bike entering the corners and to be more competitive, although we have not been able to materialize it on the track. So far we have always been changing the bike, I have not been able to concentrate on adapting to a specific base and now it seems that we already have a standard basis. In the warm up I have been much more consistent than ever, I do not know if it’s really fast to a lap but very steady. We have found the way to go much better but we are not having, for some reason, the luck to be able to make more dry kilometers and prove it. “I would get on the bike right now so I could ride around.” I hope to have good weather in the United States to confirm the improvement that I think we have made. From the outside it is very difficult to see the positive side, but we are very positive. 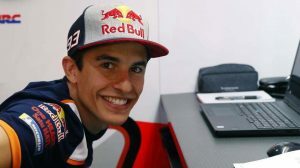 Let´s hope Jorge Lorenzo shows everybody wrong!